The "Full Frontal" hosts returned from her Ivanka Trump slur controversy penitent, but unbowed. Samantha Bee began her show Wednesday with a two-minute act of contrition – and self-definition. She apologized again for using a vulgar word to describe Ivanka Trump during a "Full Frontal" segment last week about immigration officials detaining children. Yet Bee underscored that she's not backing down from her blunt, politically charged approach to her weekly TBS comedy program. "Civility is just nice words," she said. "Maybe we should all worry a little bit more about the niceness of our actions." That marked a dig at the Trump Administration, her critics – and just perhaps at herself. Bee's actions Wednesday – tackling the flap straight on – presented her as penitent, but unbowed. She mixed reflection and humor, along with regret at becoming fodder for the "nightmare of 24-hour news cycles" she's skewered since her "Daily Show" days. "I would do anything to help those [immigrant] kids," Bee said. "I hate that this distracted from them." Bee apologized not only to Ivanka Trump (whom she didn't mention by name Wednesday), but to women who have heard the C-word at "the worst moments of their lives." "I don't want to inflict more pain on them," she said. "I want this show to be challenging and I want it to be honest and I never intended it to hurt anyone – except Ted Cruz." In addition to the Cruz crack, Bee earned laughs at her own expense by assembling a stone-faced, all-male panel of censors to monitor her every utterance. The bit signaled Bee's bolstered awareness of the power her words pack – and the scrutiny she faces amid partisan battles increasingly seeping into the popular culture. That includes a June 1 tweet by President Trump asking why Bee wasn’t fired for the epithet against his daughter after his supporter Roseanne Barr lost her ABC show over a racist tweet. 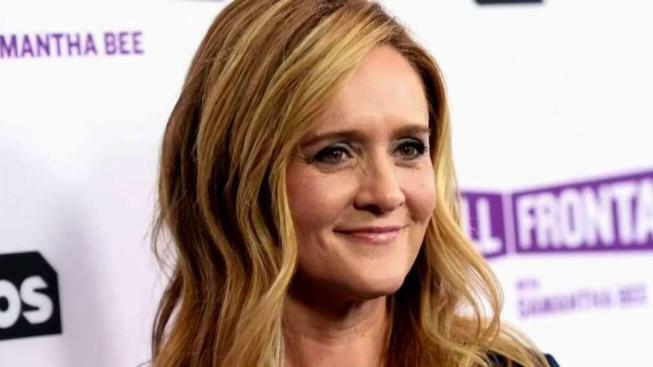 On Wednesday, Bee declared, “I’m a comedian” – a profession, she noted, not known for its “paragons of civility.” She admitted erring in spewing an odious word, one she had sought to “reclaim” for women through her repeated use of it, bleeped or otherwise. Bee used her statement Wednesday, in a sense, to reclaim “Full Frontal” – conceding she “crossed the line” even as she made clear that she draws her own boundaries. Now it’s up to Bee to watch her language while maintaining her vision for the challenging and honest show she's determined to deliver.